This is the perfect combination for those extremely small fry such as Bettas, Rainbows, Danios and others too small to begin with banana worms. The Super Fry very small fry food gets them through those first critical days until they are large enough for the banana worms. This food is smaller than green water and infusoria. 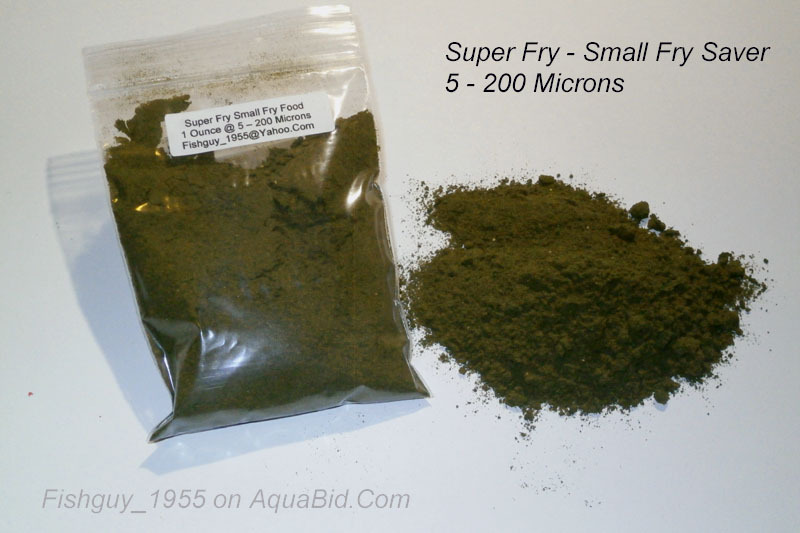 This package drastically cuts your new fry losses and helps grow them out to a size where they can take baby brine shrimp and other larger foods. You also receive my very thorough culturing instructions with the purchase of this package. This auction ships only to the US and Puerto Rico. USPS First Class Mail shipping is $3.00. I prefer Paypal, but US Postal Money Orders available at any post office are also acceptable. Please do not send payment until you receive my PayPal invoice at the close of this auction.